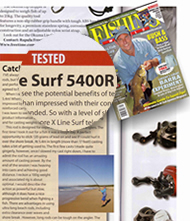 Fishing World tests our products! Catchmore telescopic fishing rods deliver professional fishing capabilities to the traveling angler. 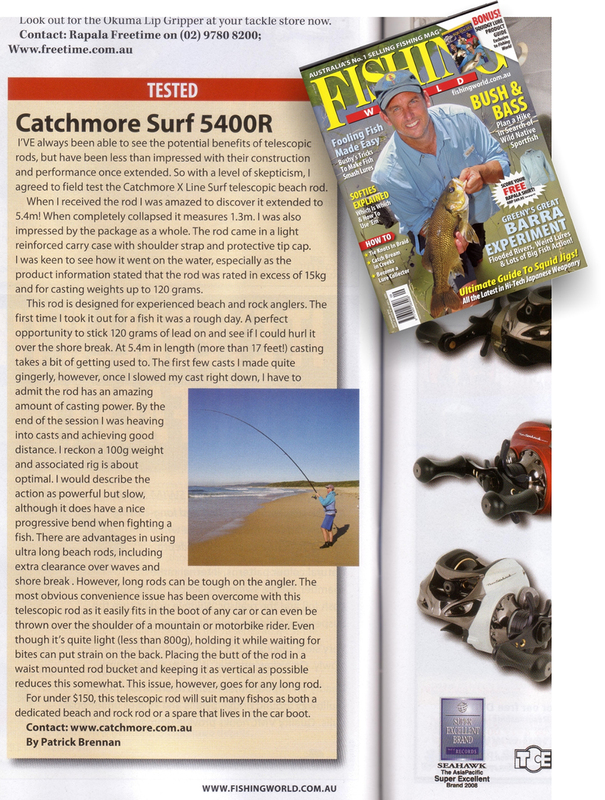 Our product range of the Surf 5400R, Foreshore 5400R, and Estuary 3600R ensure you are never caught without the right rod wherever you are. All conveniently packaged in a handy carry case that takes up a fraction of the space of conventional rods. Built to Japanese specifications, these fully imported rods are of the highest quality, utilising 98% High Modulus Carbon.